Carstens Gardens is accepting applications for immediate occupancy! Rent is based on income and utilities are included. Contact the manager today for more details. 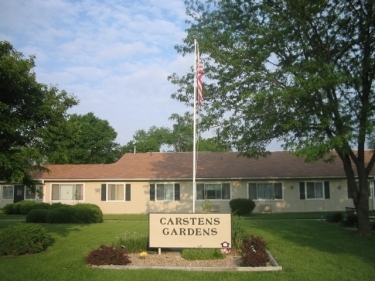 Carstens Gardens rents apartments for seniors or disabled residents. We offer beautiful independent living! Our beautiful newly renovated common room is a great place to meet your neighbors and relax. We have a full kitchen and TV area you can enjoy. Your new home offers an oasis of relaxation and an atmosphere that is carefree and unhurried.